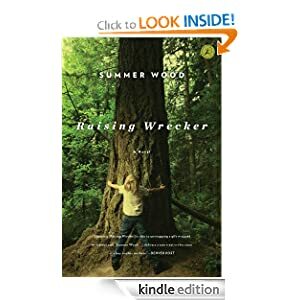 -- After foster-parenting four young siblings a decade ago, Summer Wood tried to imagine a place where kids who are left alone or taken from their families would find the love and the family they deserve. For her, fiction was the tool to realize that world, and Wrecker, the central character in her second novel, is the abandoned child for whom life turns around in most unexpected ways. It's June of 1965 when Wrecker enters the world. The war is raging in Vietnam, San Francisco is tripping toward flower power, and Lisa Fay, Wrecker's birth mother, is knocked nearly sideways by life as a single parent in a city she can barely manage to navigate on her own. Three years later, she's in prison, and Wrecker is left to bounce around in the system before he's shipped off to live with distant relatives in the wilds of Humboldt County, California. When he arrives he's scared and angry, exploding at the least thing, and quick to flee. Wrecker is the story of this boy and the motley group of isolated eccentrics who come together to raise him and become a family along the way. Raising Wrecker: A Novel or to sample this book for FREE! Tinka is a cool dog, a school dog, a breaking all the rules dog. A hall dog, a ball dog, a crash-into-the-wall dog. Bright illustrations rendered in acrylic paint add to the excitement in this playful back-to-school story about a boy and his "loves-to-hear-a-book" dog. 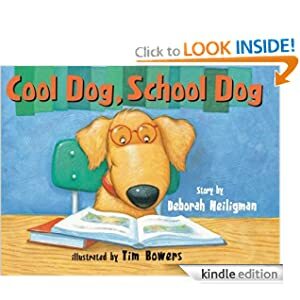 Cool Dog, School Dog or to sample this book for FREE! 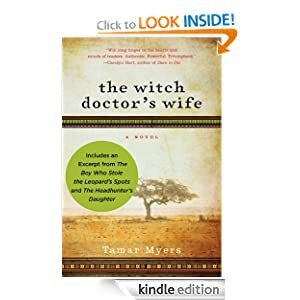 -- Enjoy beloved mystery writer Tamar Myers' novel The Witch Doctor's Wife — an enthralling tale of duty, greed, danger, and miracles in equatorial Africa. The Congo beckons to young Amanda Brown in 1958, as she follows her missionary calling to the mysterious "dark continent" far from her South Carolina home. But her enthusiasm cannot cushion her from the shock of a very foreign culture—where competing missionaries are as plentiful as flies, and oppressive European overlords are busy stripping the land of its most valuable resource: diamonds. Little by little, Amanda is drawn into the lives of the villagers in tiny Belle Vue—and she is touched by the plight of the local witch doctor, a man known as Their Death, who has been forced to take a second job as a yardman to support his two wives. But when First Wife stumbles upon an impossibly enormous uncut gem, events are set in motion that threaten to devastate the lives of these people Amanda has come to admire and love—events that could lead to nothing less than murder. The Witch Doctor's Wife or to sample this book for FREE! -- A small Georgia town paralyzed with disease. Two women secluded in a remote cabin. Only one man stands between them and death. It's 1918 when newlywed Bea Dot Ferguson leaves her posh Savannah lifestyle to visit her cousin in rural Pineview, Georgia. Her purpose: to escape an abusive husband, who knows her shameful secret. Immediately, she learns she's traded one perilous situation for another, for Pineview has been infected with deadly Spanish influenza. With the help of Great War veteran Will Dunaway, Bea Dot finds herself fighting for survival, not only against her husband's brutality, but also against the deadliest virus the world has ever known. 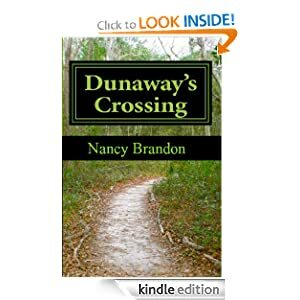 Dunaway's Crossing or to sample this book for FREE!